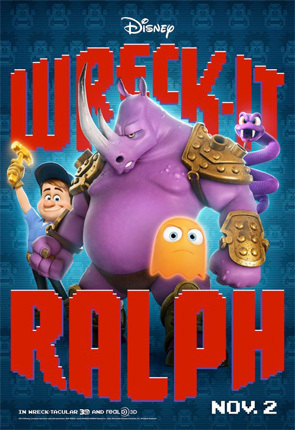 One of the best things about Disney's animated film Wreck-It Ralph, coming in November, is the use of real video game characters alongside fictional heroes and villains like the titular bad guy (voiced by John C. Reilly) and his good guy adversary Fix-It Felix Jr. (voice by Jack McBrayer). 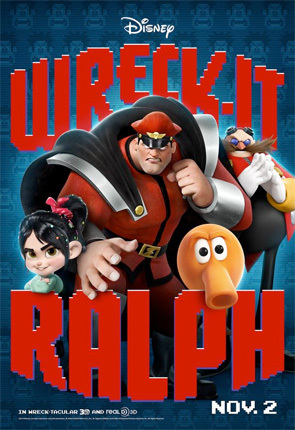 Ralph has been featured on a theatrical poster with some of his bad guy friends like M. Bison and Robotnik, but now some video game heroes get in on the poster action too. One features just our fictional video game characters made just for the film while others give the spotlight to Sonic the Hedgehog and more. They're pretty cool. Look! Nice posters, but I wish they'd have the main characters of the film in front of the cameo characters on the posters. I guess it's a good way of marketing the movie though. If you hadn't noticed, they're part of a series of posters, that would all be in fairly close proximity in a movie theater. 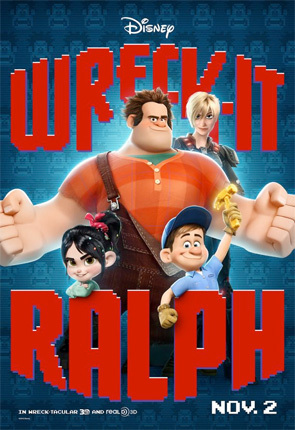 It actually looks like a teaser advertisement for a "Wreck-It Ralph" movie by Disney. The red of the title is too loud to say you did not notice it and only took away that sonic is on a poster. False Advertisement? Who is stupid enough to look at that, not see the words SONIC anywhere on it and still think it's a Sonic game? 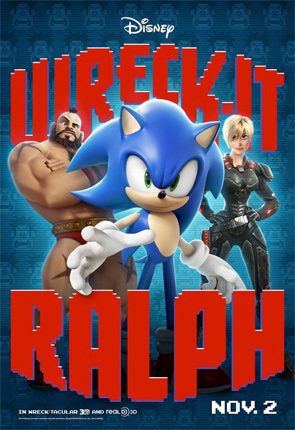 So you really think people are going to see that, and not notice the blonde chick to the side or the massively iconic Zangief from Street Fighter and figure out it's not Sonic? HA! It is false advertisement, because Sonic is in the movie for 5 seconds and it's not Sonic, it's a talking poster. I'm really hoping the finale to this film is a giant epic battle with Ralph and all the villains from his support group taking on the main big baddy... I want to see that so bad. Also you know this film will do huge numbers and game companies will beg to get characters in the sequel... I have a feeling we'll see Sack Boy, Nathan Drake, Master Chief, Mario and more in the sequel.